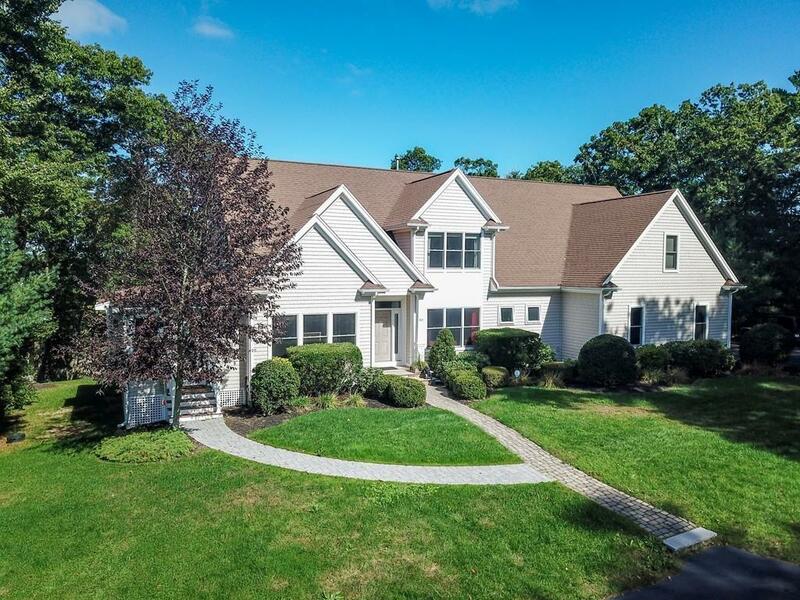 Stunning Contemporary surrounded by lovely private manicured grounds with beautiful scenic views of Beaver Dam Brook and Tidmarsh Wildlife Sanctuary. 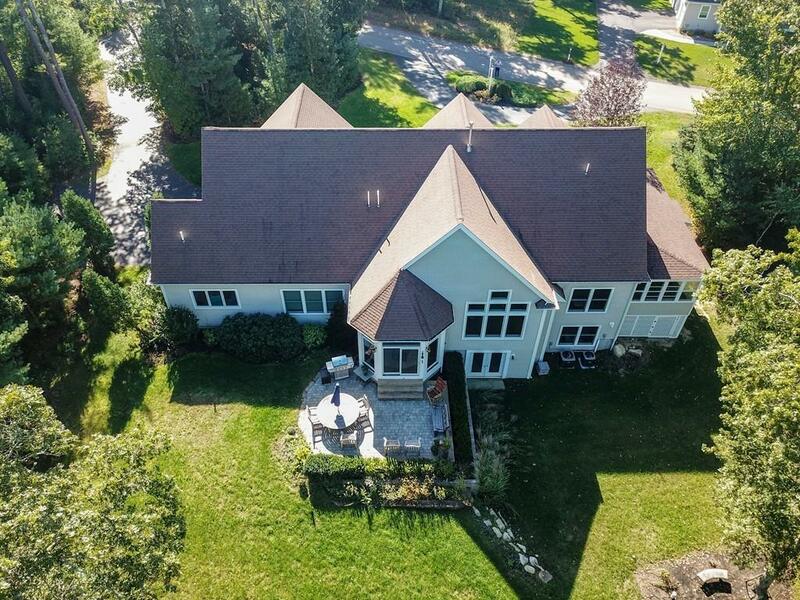 This custom home is quality built offering a Grand foyer entry to a cathedral fireplaced LR w/walls of glass open to a gourmet Kit. w/granite island peninsula,marble backsplash, wall oven, SS appliances, pantry and breakfast nook. Relax in your glamorous master suite retreat w/2 walk in closets in the jacuzzi tub or glass shower. The pillared DR with tray ceiling, crown moulding and wainscotting displays the attention to detail that is evident thruout the home. A 2nd flr interior balcony hall leads to two Brs a full bath and Theater Rm. 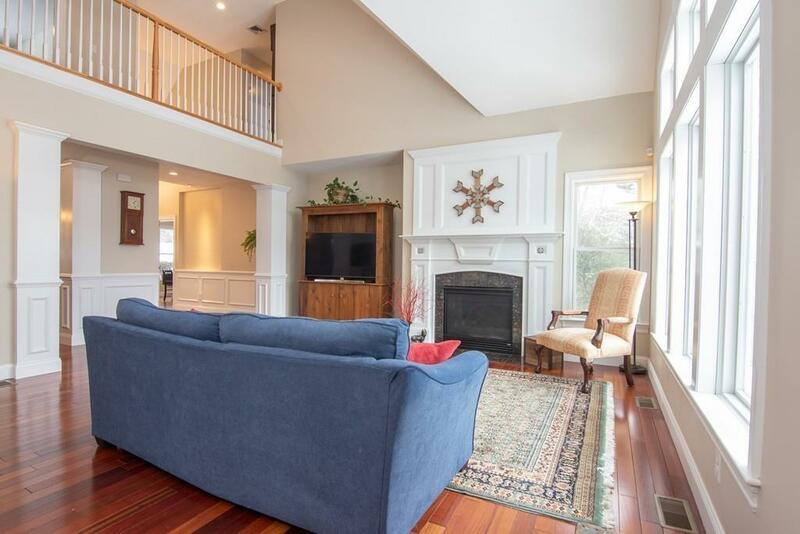 The private au pair suite complete with office, sitting room, bedroom, 1.5 baths and sunroom is accessed from the front foyer or private side entry. Xtras incl. Brazilian cherry flrs, generator hookup, heated gar., stone patio. Located just minutes to xpressway, beaches, and amenities at the Pinehills. Listing courtesy of Danielle Raye Provo of Century 21 Tassinari & Assoc.. Disclosures Subject To Suitable Housing. Measurements Are Approximate. 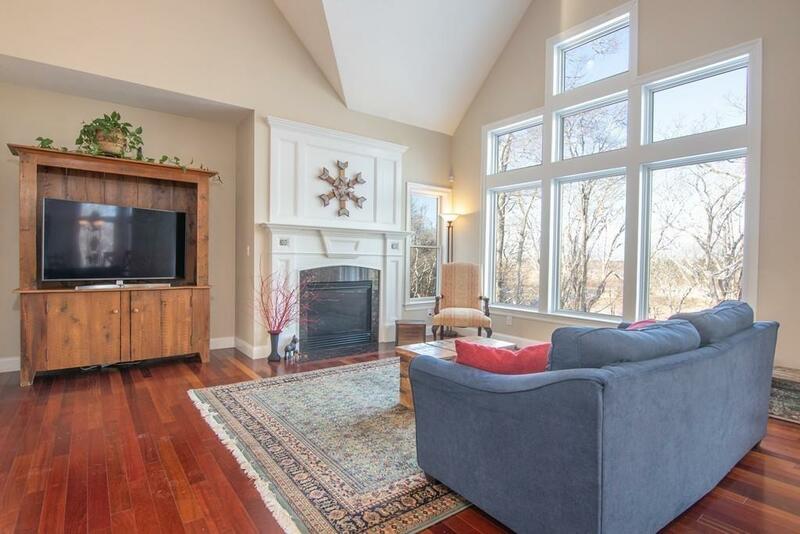 Sitting Room And Sunroom Are Heated /Cooled By Mini Split. Listing provided courtesy of Danielle Raye Provo of Century 21 Tassinari & Assoc..